Owned and operated by Sub.Mission, one of the world’s premier bass music production companies, The Black Box is a devoted home for underground music. Designed to encompass the total sound system experience, the dual-room venue located in Capitol hill is fully equipped with powerful Basscouch Sound. We’re excited to have another venue addition to our home city’s rapidly growing concert scene, and can’t wait to party at The Black Box. 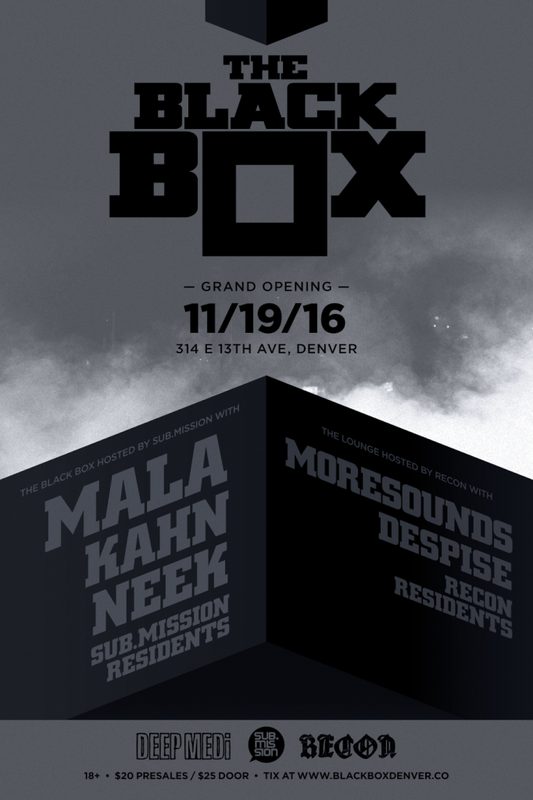 Don’t miss their Grand Opening Event on November 19 featuring Mala, Kahn, Neek, and Sub.mission residents in The Black Box presented by Sub.mission and Recon DNB.